Before we get into the big topics of the last week, we always like to talk about the games we have been playing. While James is busy throwing balls at innocent creatures in Pokemon, Let's Go! Eevee, Kazuma is stacking innocent critters on top of his head in World of Final Fantasy: Maxima... while slaying demonic hordes in Diablo III: Eternal Collection. We also get his thoughts on the recent open beta of Lost Ark, a promising action RPG that plays like Diablo. And then we get into the news of the week! 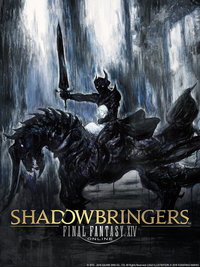 Square Enix held their Final Fantasy XIV Fan Fest in Las Vegas this weekend, so we're going to talk about the latest expansion back - Shadowbringers. We also get into a little bit about some new localization announcements - SINoALICE and Lost Ark - while also discussing a recently delayed title, 13 Sentinels: Aegis Rim, whatever that game is supposed to be. Finally, Microsoft is reportedly working on a disc-less version of the Xbox One to be released sometime in 2019, so we discuss the logistics behind that move, and Sony skipping out on E3 2019 completely. All that and more in the latest edition of the Tetracast! This edition of the Tetracast features James Galizio (@theswweet), Kazuma Hashimoto (@JusticeKazzy_), and is hosted by Zack Reese (@zackreese). As always, you can find links to the full episode of the podcast below along with our RSS feed, and also subscribe to us on iTunes or Google Play. Pokemon: Let's Go, Pikachu! and Let's Go, Eevee!